Taking a family trip out on the water has the potential to be a wonderful experience, or a heap of stress. However, there are a few ways to ensure that you and your children have a successful fishing adventure! Here are a few tips to make sure your day of fishing goes swimmingly! Keep it simple and fun! No matter how experienced of an angler you are, your kids will throw your skillful techniques out the window. That’s why you must remember to keep the pressure of the sport off your children and be patient even when they get distracted. Kids are known for their short attention spans, so what do you think is more exciting for them: waiting for a fish to bite, or reeling the line in to see their catch? Unanimously, it’s the latter. If the biting seems to be slow, let your children off the hook until you feel that bite! As mentioned before, shorter activities will adhere to a child’s short attention span, so break up the fishing with other activities. Play games, enjoy the breathtaking views on the water, and eat some re-energizing snacks. 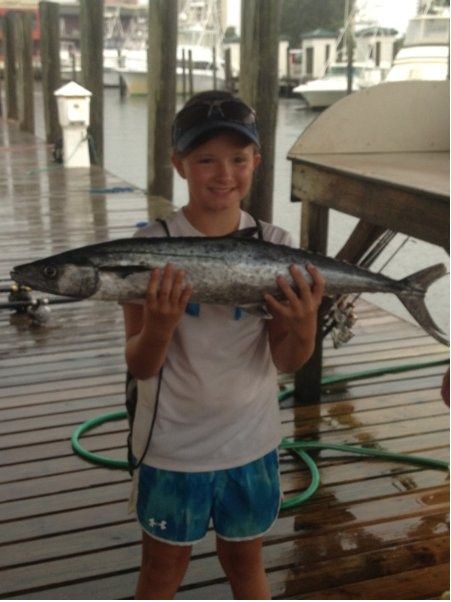 A guided charter may be just what your family fishing trip needs. With a skilled captain and expert crew members, you’ll have extra hands to give kids the assistance they need, and you’ll still be able to make that big catch! Come aboard the Triple Trouble to explore the gulf waters off the coast of Alabama. Our crew is happy to help kids get their own big catch and have the equipment necessary to make it happen. We ensure safety and fun on our guided trips, just bring your own food and drinks, and we’ll supply the rest. 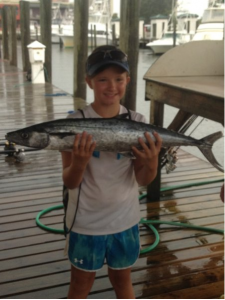 Call Captain Chad today at 256-431-5767 to talk about your ideal family fishing trip!